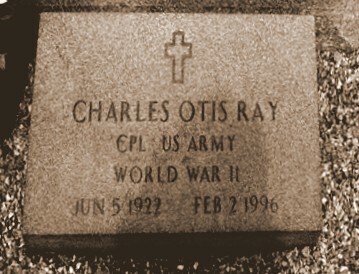 Charles Otis Ray was born June 5, 1922, a son of Charlie Lamar Ray and Leila Smith. He was a grandson of Jeanette P. Shaw and Thomas Jefferson Smith. As a young man, Charles O. Ray lived with his family near Ray City, GA in Georgia Militia District 1329. Charles O. Ray enlisted in the Army on November 4, 1942 at Fort McPherson Atlanta, GA. His enlistment records show he was 22 years old, 5′ 8″ tall, weighed 138 pounds and was working as a farm hand in Berrien County. He entered the services as a private. On October 3, 1944 the War Department reported that Charles O. Ray was missing in action in Europe. The Jan 13, 1945 edition of the Atlanta Constitution reported that PFC Charles O. Ray, son of Charlie L. Ray, of Ray City, was a prisoner of Germany. 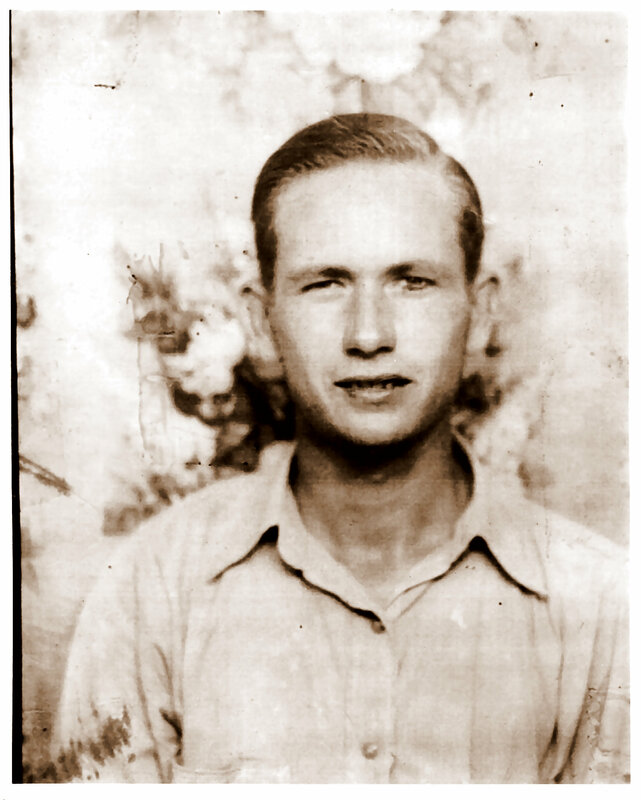 Charles Otis Ray, of Ray City, GA, liberated from a German Pow Camp. Charlie L. Ray, of Ray City, Ga., Route 1, received a V-mail letter this week from his son, Pfc. Charles O. Ray, stating that he is now a free man again, having been liberated after spending 11 months in a German prisoner of war camp. Telling of how happy he is to be free once more, Pfc. Ray wrote that he is expecting to return home in the near future. His relatives and many friends were overjoyed to learn that he was among the many Allied prisoners of war liberated from the Nazis, and that he expects to return to the States soon. Pfc. Ray failed to give any details of his imprisonment, preferring to use the limited V-mail space to describe his happiness upon being released from the camp. After the war, Charles O. Ray married Quilla Taylor. They lived in Fitzgerald, GA where Charles worked in home construction as a carpenter. Charles O. Ray died Feb 2, 1996 in Lowndes County, GA. He was buried in Evergreen Cemetery, Fitzgerald, GA.